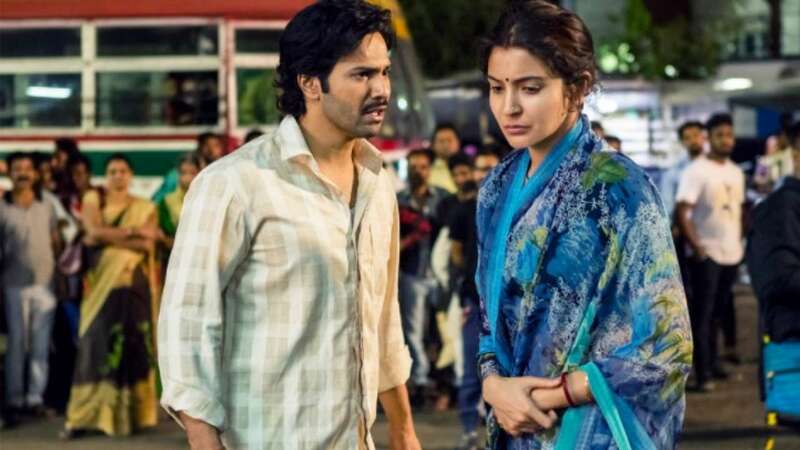 Sui Dhaaga is woven with just enough material to fill out its crisp two hours run time. It’s well paced and coasts along on charm and sincerity. While none of its ideas are fresh, it skillfully weaves them together in an entertaining package that deserves to be worn. Go check it out. Sui Dhaaga: Made in India starts with a unique tongue in cheek monologue. Within minutes, the film establishes its characters and the somber life they lead. You get a glimpse into tensions brewing under the surface and hints of how these conflicts could drive the plot. It’s a witty introduction to a delightful film. Varun Dhawan plays Mauji, a positive upbeat character despite balancing familial duties and an unsavory job. His wife Mamta (Anushka Sharma) believes he can do better on his own as a tailor and encourages him to ditch the security of his job. This creates tension with his parents who have seen many fail in the tailoring industry and ruin their lives. As other problems arise, the plot kicks into gear. Sui Dhaaga does an excellent job of balancing multiple themes and subplots seamlessly. It is the story of an underdog, a love story and a family drama. Mauji and Mamta’s relationship grows as they embark on this mission together. Family dynamics consistently change. The plot also serves to offer insight into the hardships faced by certain sections of society. I was incredibly impressed by the screenplay’s ability to address so much without ever wavering too far from the core narrative. The cast does a fine job, and though there’s no exceptional performances it’s solid work all around. Varun Dhawan and Anushka Sharma complement each other well despite not having a lot of conventionally romantic moments or scenes. Unfortunately, Anushka’s character is written quite thin, almost to the point of being a supporting character. She has a few powerful moments and turns in a subtle and sincere performance. Varun Dhawan is effortlessly charming. It takes a few minutes to adjust to him playing such an ordinary character, but he does quite well. The supporting characters and cast, especially the parents are fantastic. They’re all unique personalities and make for some of the most memorable and hilarious moments in the film. Sui Dhaaga does a fine job of tonally balancing its dramatic and humorous elements. There are multiple moments that genuinely pack an emotional punch as well as many that leave you in splits. The films biggest problem however, is how predictable the narrative is. There really aren’t any genuine surprises. The whole “us vs them” theme also gets repetitive when used in multiple scenarios of our protagonists being unfairly/unjustly treated. The “bad guys” usually come across as caricatures without any real development.